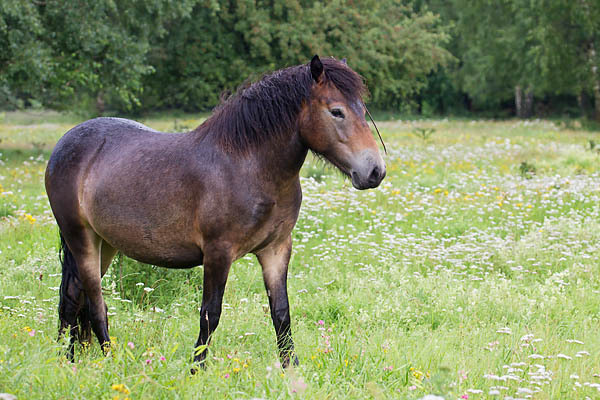 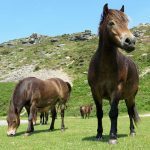 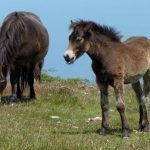 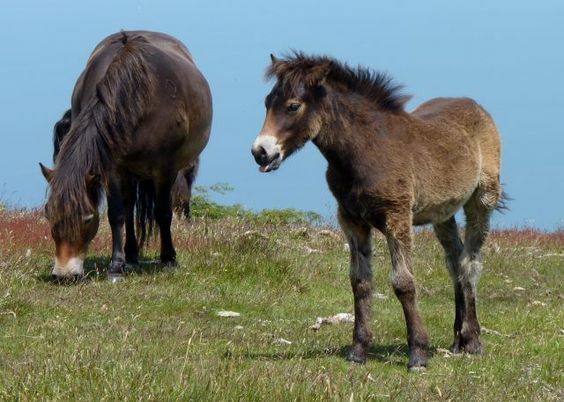 The Exmoor pony, one of the oldest of the British equine breeds, is still found as free-roaming, semi-feral livestock in the moorlands of southwestern England, contributing to the management of chalk grasslands and heathlands. 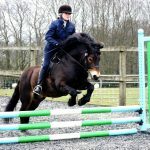 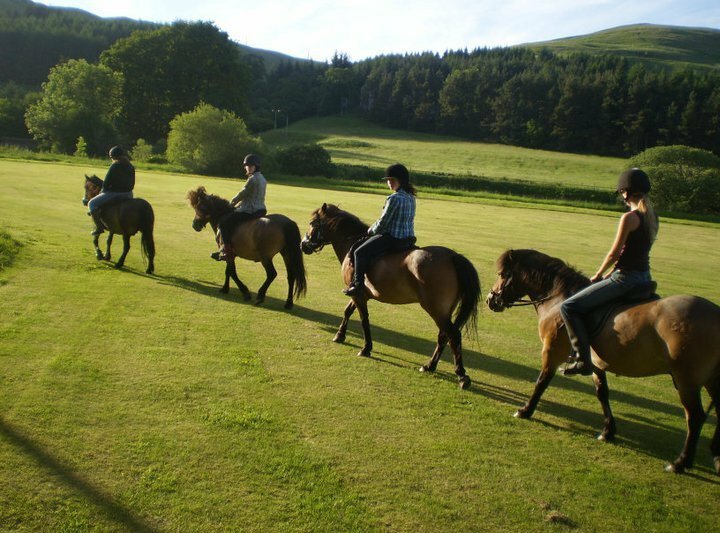 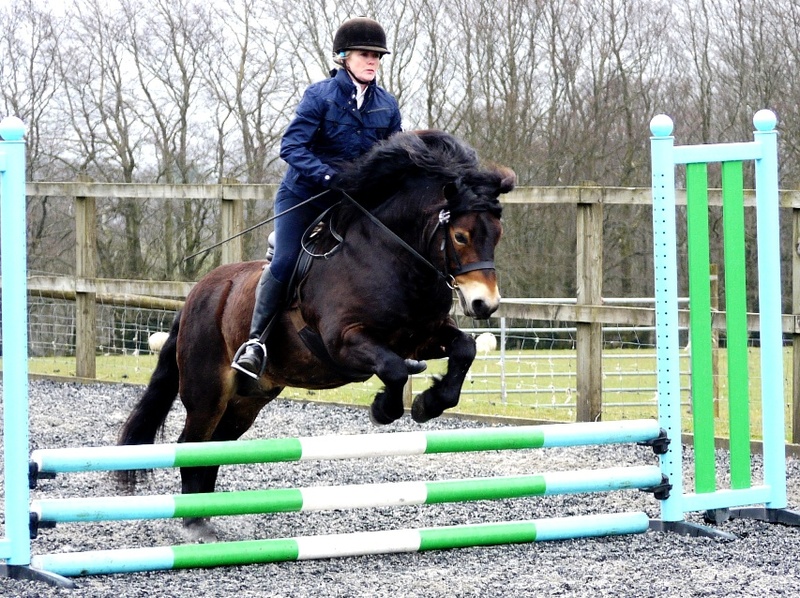 Owing to its hardiness, ponies not raised in semi-feral conditions often participate in different equestrian activities. 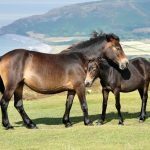 As claimed by the breeders and fanciers, the Exmoor ponies are purebred equines that originated from wild horses after the Ice Age. 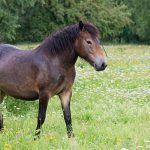 However, modern studies have not confirmed this theory because research findings show that these animals have paternally inherited genetic characteristic similar to that found in other domesticated horse breeds across the world. 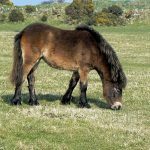 Although wild horse fossils and remains including bones have been unearthed from various sites across Britain, no genetic studies until now have established a connection between the prehistoric remains and a modern breed. 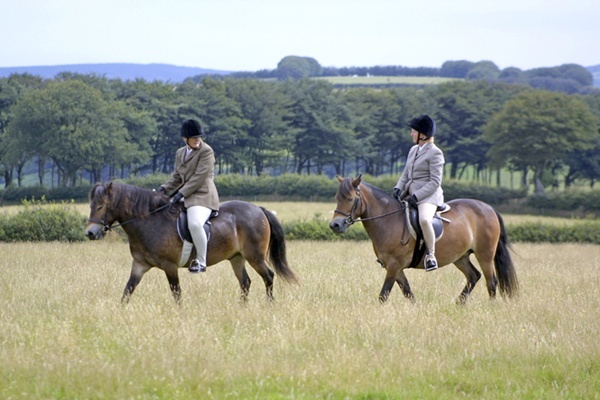 A 1995 study of the outward appearance or morphological characteristics of animals shows that the Exmoor has a close resemblance with the Pottok and Tarpan. 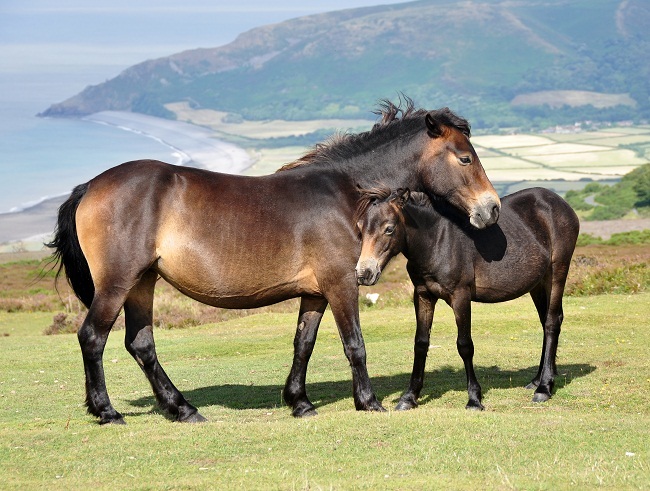 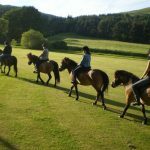 The occurrence of ponies in Exmoor was first mentioned in the Domesday Book in 1086, after which historical record is rare. 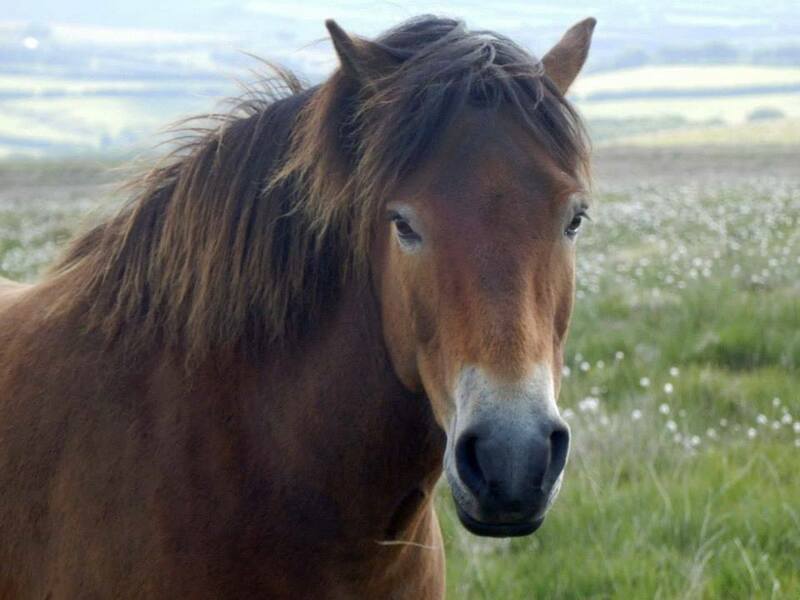 From 1820-1860, the Exmoors were crossed with other horses, but the offspring were not as powerful as their parents. 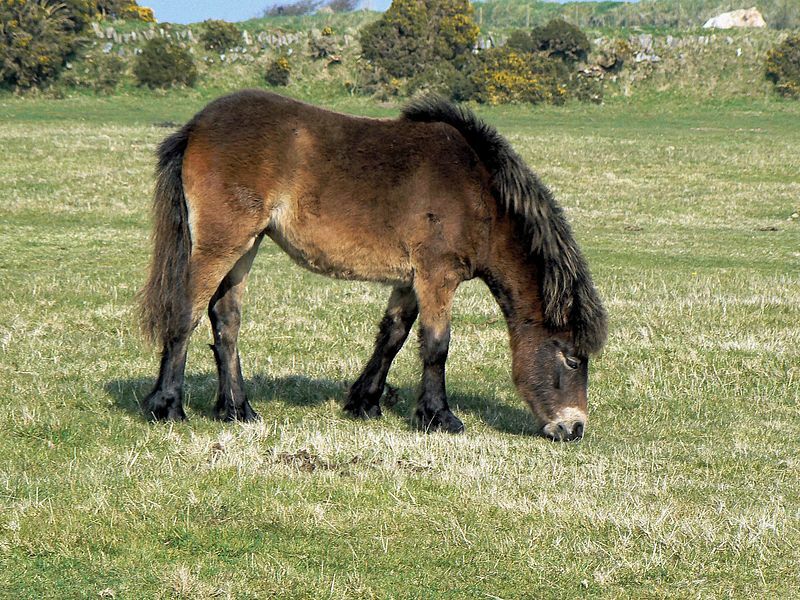 In the late 19th century, the National Pony Society started registering Exmoor ponies and their crosses. 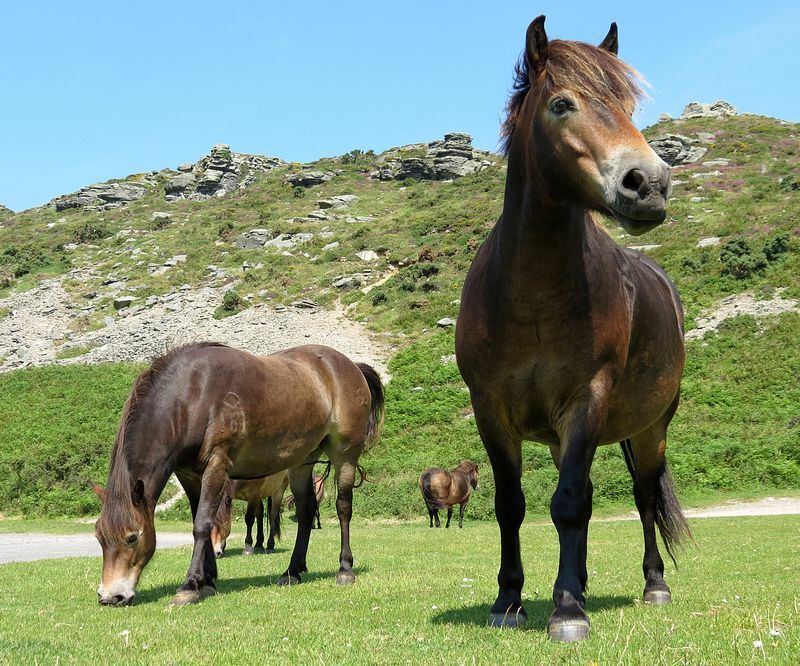 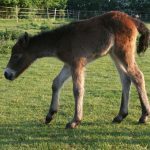 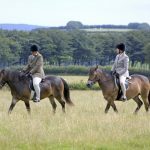 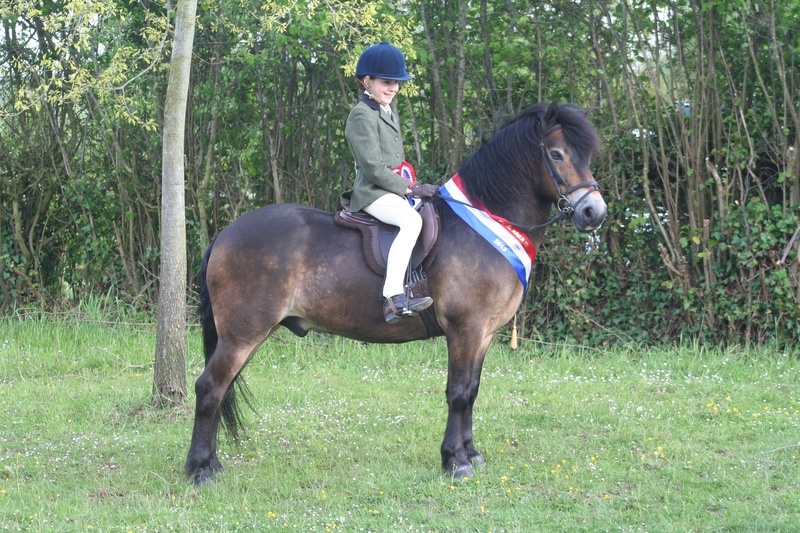 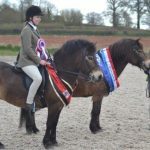 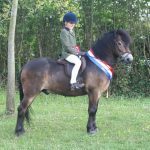 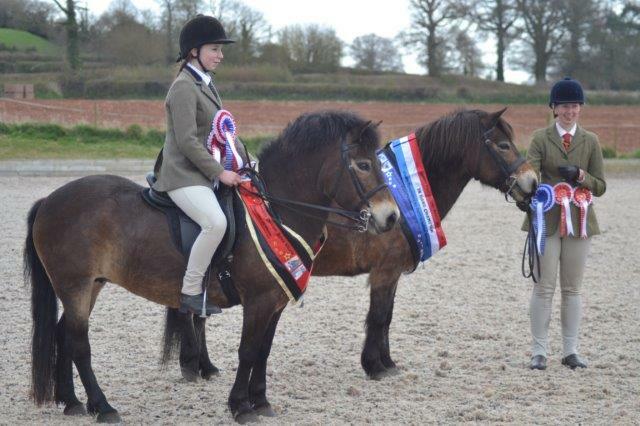 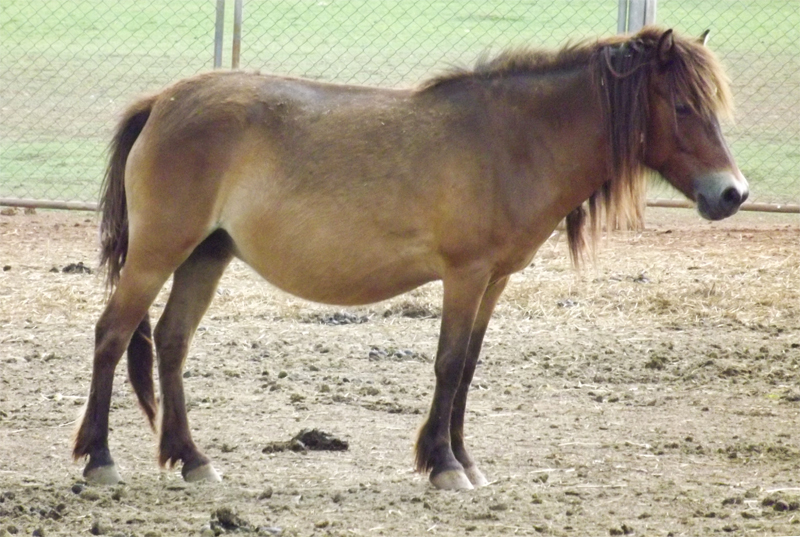 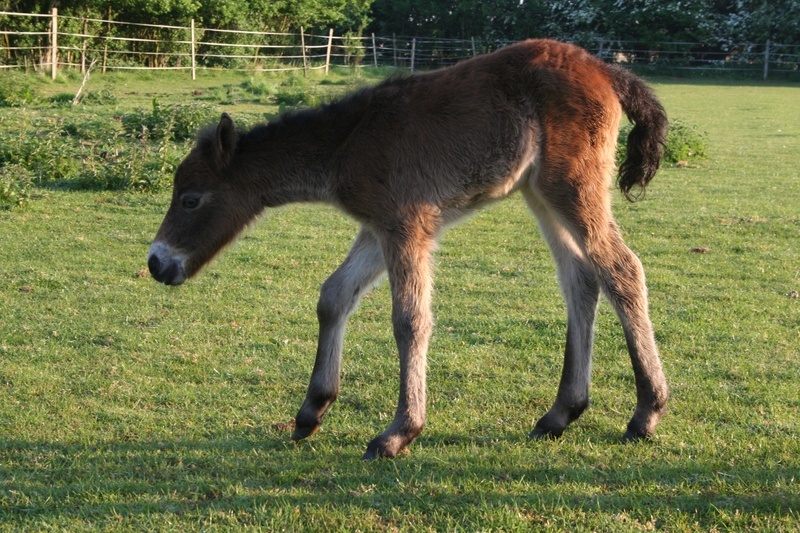 After being set up in 1921, The Exmoor Pony Society published its first breed registry in 1963. 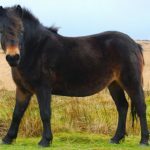 Its population sharply declined during the Second World War, as the moorland became a military training ground and most of the ponies were killed for meat. 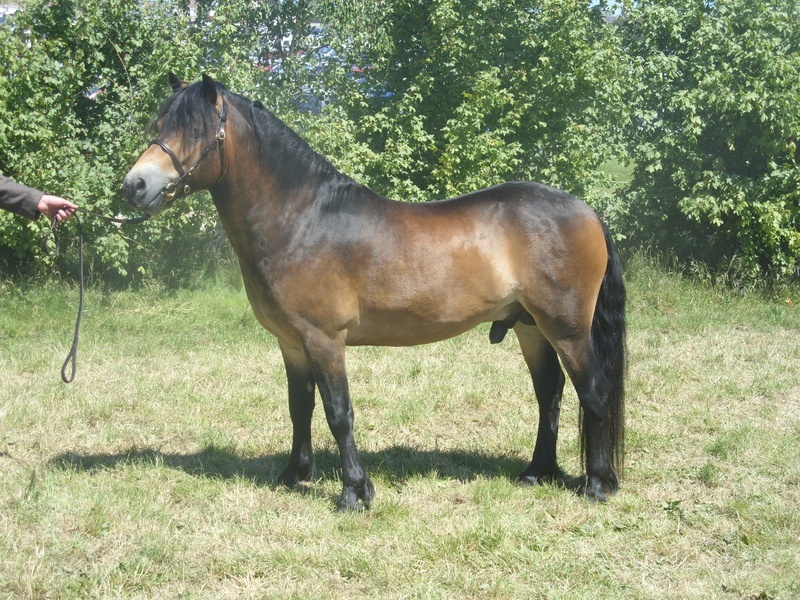 However, a group of breeders managed to preserve the breed, and its publicity aroused public interest. 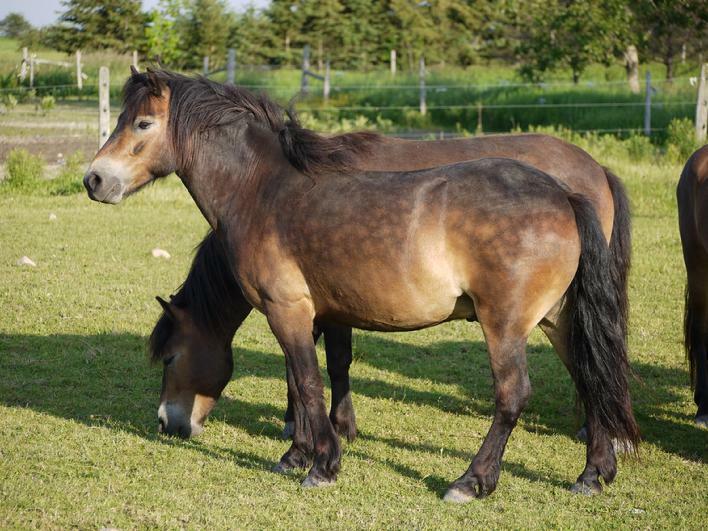 Exmoors were first exported to North America (into Canada) during the 1950s. 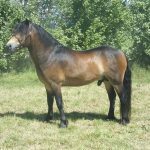 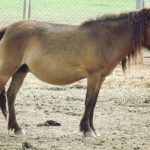 They are considered a rare breed since their population is approximately 800 ponies worldwide and 40 ponies in North America. 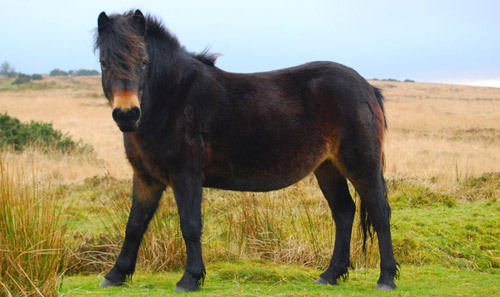 The extra fleshiness of the upper brow, called “toad eye” provides insulation and protects the Exmoor pony against wind and rain. 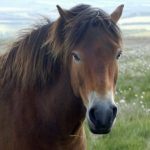 The coarse hairs, called “ice tail” or “snow chute” on its tail are designed to deflect snow and rain down away from its body. 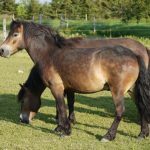 In January 2015, a group of 14 Exmoor ponies was sent to the former military camp in Milovice, Czech Republic, to improve the biodiversity of the region.